Fernando Alonso will leave McLaren and "move on" from Formula One at the end of the season, the two-time former world champion has announced. The 37-year-old will finish the current season and will not race in F1 in 2019. "There are still several grands prix to go, and I will take part in them with more commitment and passion than ever. 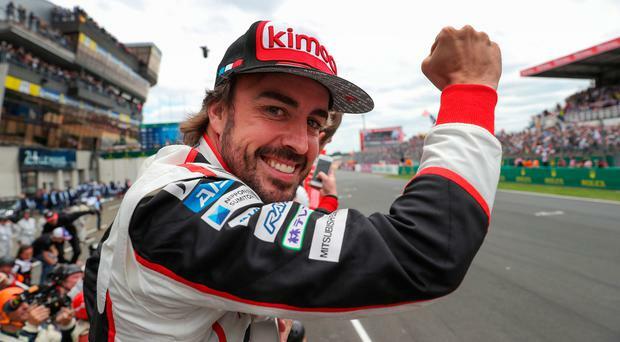 Alonso's current team, McLaren, said in a statement: "McLaren Racing today confirms that double F1 world champion Fernando Alonso will not race in Formula 1 in 2019. "Fernando, who turned 37 in July, is competing in his 17th F1 season, his fifth with McLaren, and has amassed 32 wins, 22 pole positions and 97 podiums to date. Beyond his two titles - in 2005 he became the then-youngest world champion in F1 history - Fernando has been Championship runner-up three times." Alonso was F1 champion in 2005 and 2006 while with Renault, with his first ending a five-year dominance by Michael Schumacher and Ferrari. He went on to join McLaren in 2007 before returning to Renault in 2008. Alonso then made the switch to Ferrari two years later and stayed for four years, before rejoining McLaren once again. However, Alonso left the door open to a return to F1 - strongly hinting that this could be a hiatus rather than a retirement. "I want to thank everyone at McLaren," the Spaniard said. "My heart is with the team forever.